ollowing from the release of 2010’s debut album ‘Astro Coast’ and 2011’s ‘Tarot Classics’ EP, Floridian Powerpop quartet Surfer Blood return with their eagerly anticipated new album ‘Pythons’. 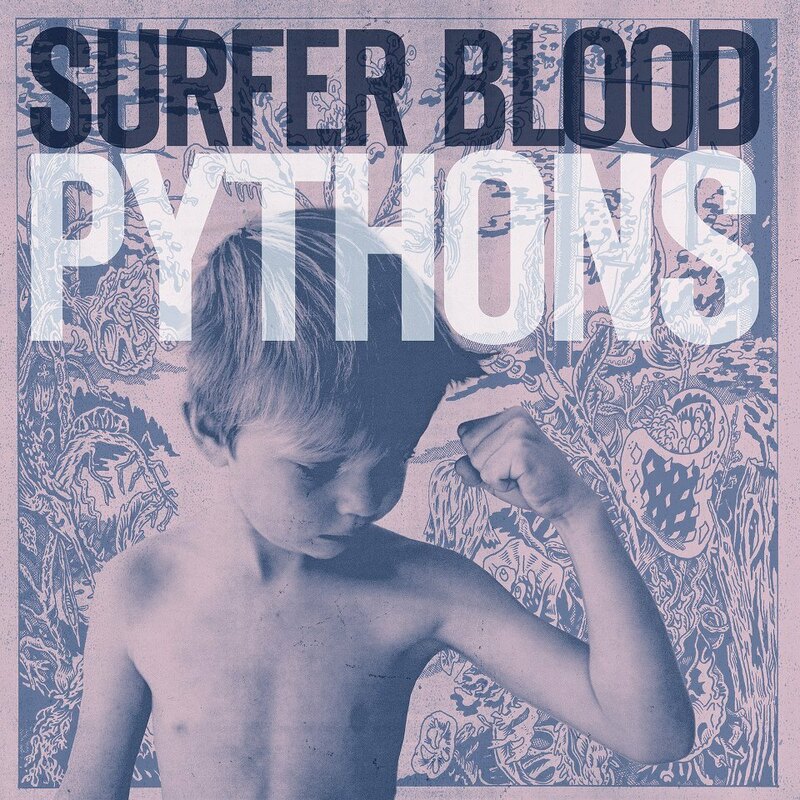 Produced by Gil Norton (Foo Fighters, Pixies) at EastWest Studios, Hollywood throughout 2012, ‘Pythons’ sees the band truly realising their sonic potential. Where ‘Astro Coast’ was characterized by its lo-fi charm, the new record sees the band cranked up to eleven while losing none of the personality that had fans falling in love with their sun-drenched melodies the first time round.